Box Brownies are one of those dishes you can whip up in just moments and take to the office or a potluck party…or at least they were before you gave up gluten. 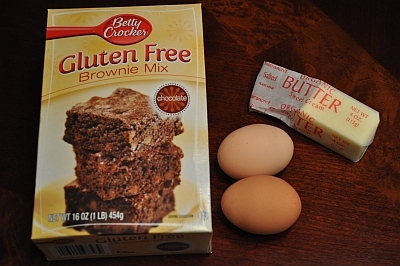 So I wanted to see how the gluten free brownie mix from Betty Crocker stacked up. 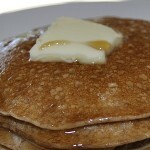 The directions are clear, easy, with only 2 additional ingredients (1/2 stick of butter and 2 eggs). 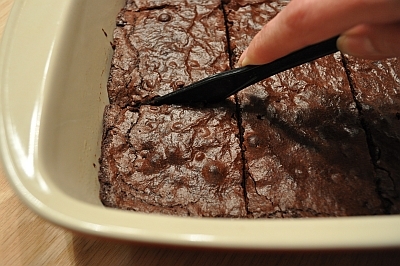 After baking according to the directions, the back of the box recommended cutting the brownies with a plastic knife…perfection! I will now be using this technique with all my bar cookies. Now to taste…very deep, dark, chocolate taste. The mix has chocolate bits running through the entire batch. I love chocolate, I do! However these might be a little darker than I prefer my brownies to be. I typically prefer milk chocolate to bittersweet or really dark chocolate. If you are a deep dark chocolate lover…you may have found the perfect mix. Great texture right out of the pan and also after storage in the fridge. 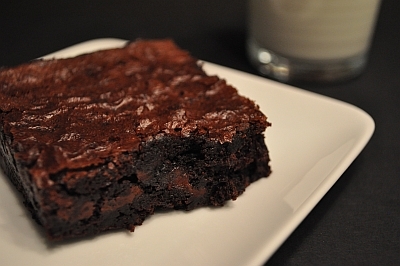 In fact I am a lover of chilled brownies straight out of the fridge (strange, I know). You may want to warm them briefly in the microwave and serve with a scoop of ice cream and chocolate sauce. I am still in love with the idea of this affordable convenient brownie mix…so I shall have to get to work on a version that mutes the intensity of the chocolate slightly. Any brilliant ideas on doing that? Would you describe these as more fudgy or cakey? I would say they are more fudgy. Especially after spending the night in the fridge. 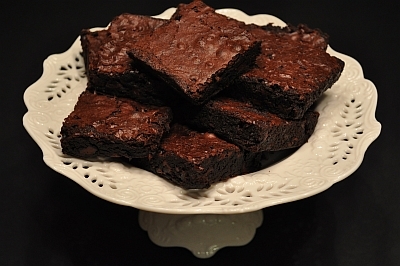 I loved the GF Brownie Mix, especially since I haven’t had anything like it in over 9 years! There Betty Crocker yellow cake mix is also great. Isn’t it wonderful that so many companies (even large, main stream ones) are producing gluten free products! 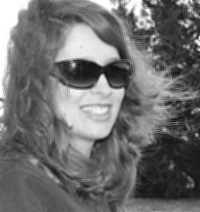 So glad you are finally getting to enjoy baked goodies.